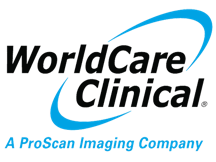 The ProScan network of outpatient imaging centers offers a variety of advanced imaging services, including high-field MRI, Open MRI, CT, Ultrasound, X-Ray, and women’s imaging. For your comfort, we would like you to be as educated and prepared as possible about your upcoming visit. To find out what services are available at a particular ProScan Imaging location, click on the “locations and directions” link in the left navigation menu, then choose the location you are interested in visiting. Each ProScan Imaging location provides different advanced imaging procedures. To read more information on how to prepare for each imaging procedure and what to expect as a patient at one of our centers, please go to the Services tab on the home page and click on the exam you would like more information on. To find a location near you, please click on Find a Center.